PAUL WELLER went solo in 1983! Paul Weller signed to a solo contract before he quit The Jam and a few months before announcing The Style Council. 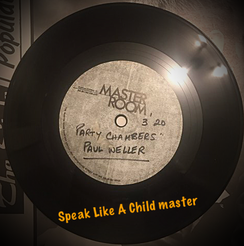 Here's a nice heavy master room 7" of Speak Like A Child and Party Chambers as Paul Weller.